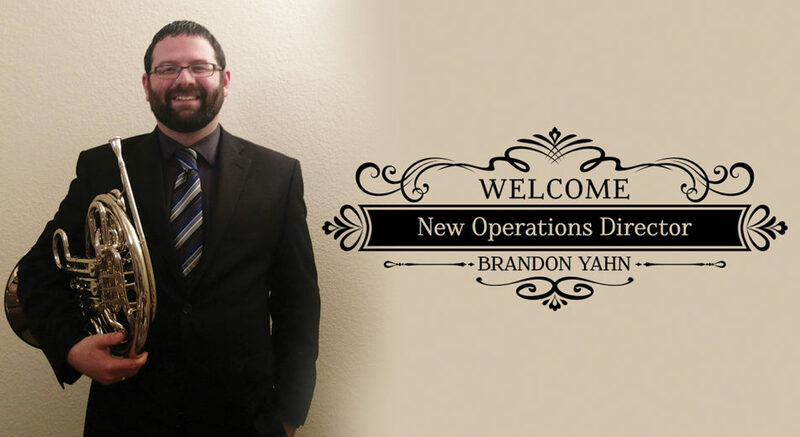 Please join Festival City Symphony in welcoming Brandon Yahn to the role of FCS Operations Director. As Principal Horn with FCS and band director with the West Bend School District, Brandon already has an intimate knowledge of music. His experience as a performing musician and teacher brings great insight and wisdom to this new position as he expands his skills in the area of arts administration. Brandon can be reached at the new FCS email address and phone number, FCSMilwaukee@gmail.com and 262-853-6085. Welcome, Brandon!